I g﻿﻿﻿﻿﻿radu﻿﻿﻿﻿﻿ated from Millsaps College in 1996 with a Bachelor of Science in Chemistry. I furthered my education at the University of Mississippi School of Dentistry and received my Doctorate of Dental Medicine in 2000. I have been in private practice since September 2002. I have been married to Kerri Johnston for over 10 years, and we have 2 sons, Morgan and Samuel. My family and I attend Southway Baptist Church where I serve as a deacon and in other various capacities. I enjoy being with my family and spending time in the great outdoors. I am an avid sportsman and specifically enjoy pursuing the wild turkey. My name is Kerri Savell ﻿Johnston. I graduated from the University of Mississippi Medical Center in 2001 with a degree in dental hygiene. I am married to Dr. Clay Johnston and we have two sons. We are members of Southway Baptist Church. In 2008, I made the decision to join my husband in our dental practice. Although I am a registered dental hygienist, my position in our office is the front desk. I love helping people in any way that I can. I was born and raised in Brookhaven, MS. I graduated from Brookhaven High School in 2005, from there I graduated from Copiah Lincoln Community College in 2007 and Meridian Community College in 2008 with a degree in Dental Assisting. I am married to Garrett Lyons & we have two sons. We are active members of Clear Branch Baptist Church. 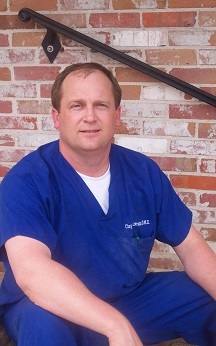 I worked with Dr. Johnston from 2008 to 2010 and rejoined his dental team in 2012. While I am not at the office working I enjoy spending time outdoors with my family. I am looking forward to meeting you and assisting with your dental needs. My name is Kirstie Campbell Newman. I attended the University of Mississippi from 2009-2012 while getting my prerequisites for dental hygiene school. In 2012 I began hygiene school at the University of Mississippi Medical Center where I graduated in 2014 with a bachelors in dental hygiene. I am the granddaughter of Dr. George H. Edmonson, so I grew up in a dental office and thoroughly enjoy working in the dental field. I love my job and couldn't be more blessed to have joined Dr. Johnston's team and work along side him and the rest of the team while serving the people of Brookhaven. I have the best patients and couldn't be more excited to work and live in my hometown. I am married to Taylor Newman. While I'm not in the office, I enjoy spending time with my family, my pets, and enjoying God's creations outdoors. I often help in animal rescues and love being able to help animals in any way I can. They are my passion aside from the dental field. I can't wait to meet you and help in all of your dental hygiene needs.